If you’re stuck for new gift ideas, a picture candle is the answer. 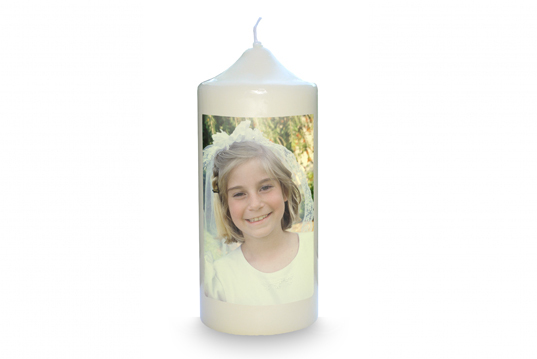 Create your own picture candle using one of your favourite shots. We have 3 designs for you to choose from: ‘Friends Forever’, ‘I Love You Mum’, or a plain candle with no message. The candles are 3” x 9” and made of beeswax.